Splash your way toward exhilarating memories at Connecticut’s premier water park experience! Ready to Splash your way toward exhilarating memories at Connecticut’s premier water park experience? 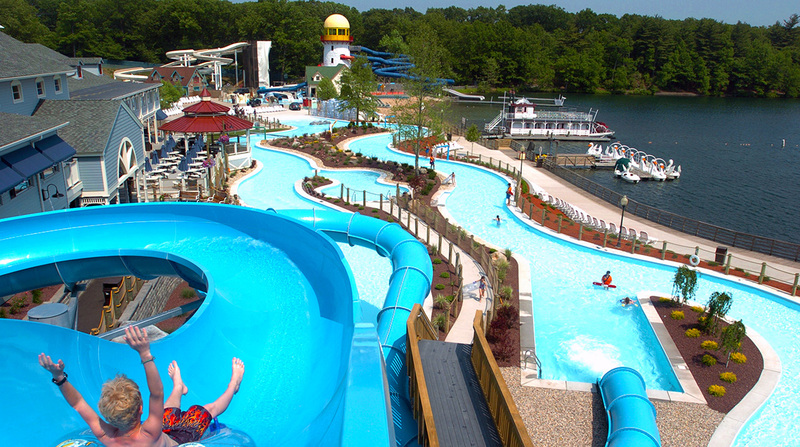 Join in on the fun at the one and only Crocodile Cove Water Park located at Lake Compounce. With water rides, slides, the bay, and lots of fun, whether your young or old, come on out and soak up the sun! Crocodile Cover has many attractions including Clipper Cove, where you can channel your inner pirate as you explore the water cannons and slides coming off the ship! Be prepared to have a giant 300 gallon water bucket to cool you off as it constantly fills up and dumps out on it’s shipmates! Riptide Racers allows you to unleash your inner dare devil as you head out to compete side by side on a wild slide! Mammoth Falls is a water raft adventure for the whole family as you slide down a bright green tube through the falls! Looking for something more relaxing? Croc-O-Nile is the park’s lazy river, so grab a tub and float on down as you enjoy the beautiful summer day view. No matter what, Crocodile Cove Water Park has something for everyone to stay cool and have fun in the sun!